Emmanuel Penrose A. Brown (Temple Hills) - Book Appointment Online! 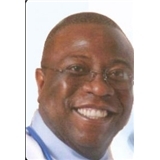 Specializing in premier internal medical care, Dr. Emmanuel P. Brown is committed to providing compassionate and personalized care to each individual patient. Dr. Brown strive to develop close, personal relationships with every patient by offering a patient centered office focused on preventative health care and early detection of disease. Embracing a personalized care ideology, Dr. Brown strongly believe in efficient and reliable communication and access between the patient and any member of the professional staff. Dr. Brown is committed to answering questions, listening to concerns, explaining outcomes of treatments, and providing education to each patient.